Our prolonged weather pattern of light winds and mostly dry conditions will continue for a few more days, with just some isolated light showers during the afternoons. 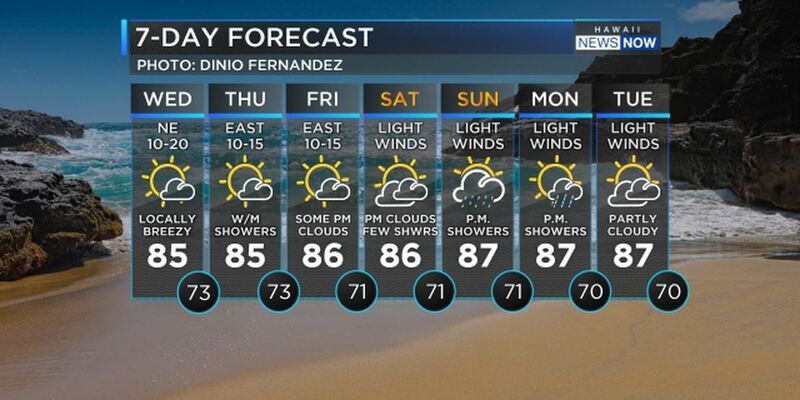 Some changes are on the horizon, as a cold front is forecast to approach the islands Wednesday. 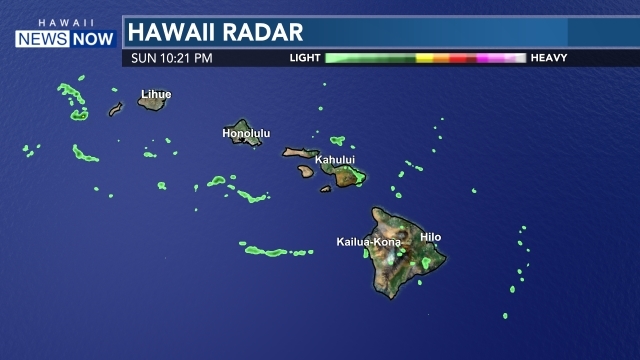 Southwest Kona winds will develop ahead of the front, which will then pass through the state with scattered showers and maybe some thunderstorms Thursday and Friday, followed by cooler and drier north-northeast winds. 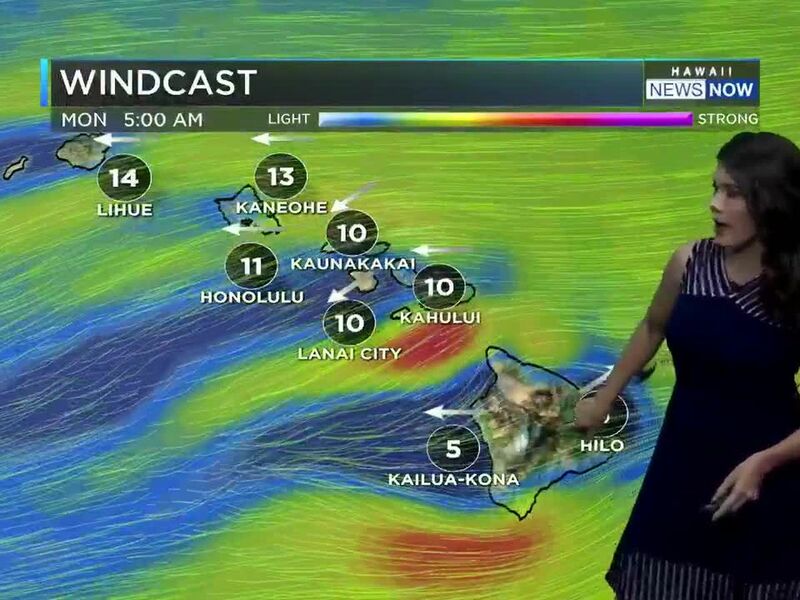 A trade wind weather pattern will return briefly on Saturday, but another cold front will approach on Sunday, bringing another round of southerly winds ahead of it. In surf, a reinforcing northwest swell will push wave heights to warning levels again for the north and west shores of Kauai, Niihau, Oahu and Molokai and the north shores of Maui, peaking Tuesday morning before gradually declining Wednesday and Thursday. 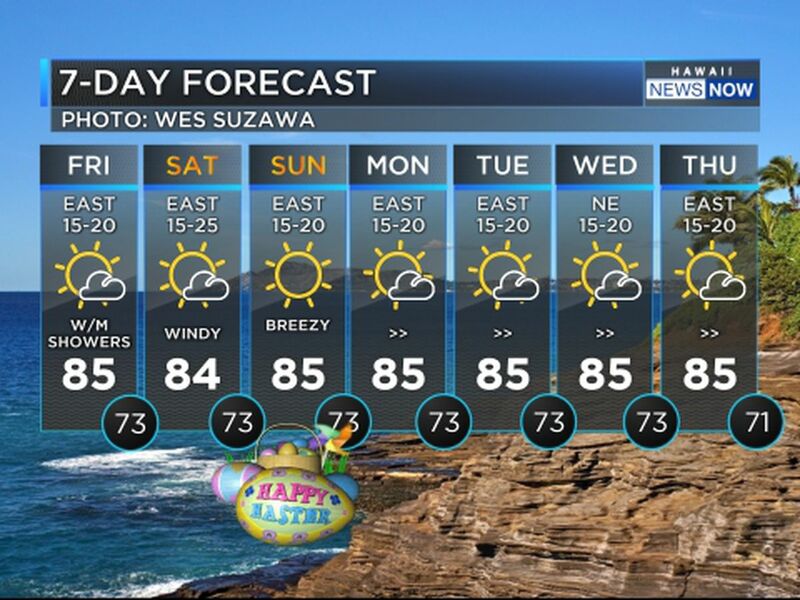 A high surf advisory is in effect as well for the west shores of the Big Island. Another large northwest swell is expected Thursday night and Friday. There’s also a small craft advisory for most Hawaiian coastal waters due to the swell.